November 2008 - Alpha Energy and Electric, Inc., is proud of its current collaborative contract to install electrical systems at the Schlitterbahn Vacation Village Project in Kansas City, Kansas. In its first expansion project outside of Texas, waterpark giant Schlitterbahn will build its fourth family destination on a 370-acre site in Kansas City, Kan., just east of Kansas Speedway and Village West. Schlitterbahn Vacation Village will be one of the world's largest tubing parks with miles of interconnected rivers and signature attractions--such as Torrent River and the Master Blaster, a six-story uphill water coaster. 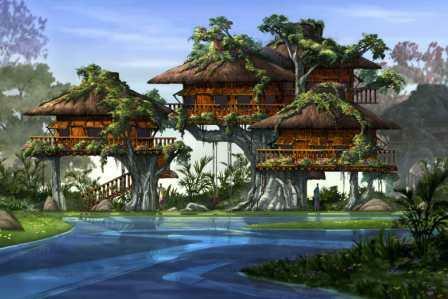 The year-round resort will also feature 1,800 hotel rooms including waterfront cabins and "treehaus" accommodations. With this addition, Wyandotte County will more than double its lodging capacity; the county now has nearly 1,400 hotel rooms. Plans also include a mile-long River Walk with destination shopping, dining and entertainment options in a covered, year-round environment. A large Interactive Marine Park will feature salt water lagoons for snorkeling, helmet diving and touch pools. 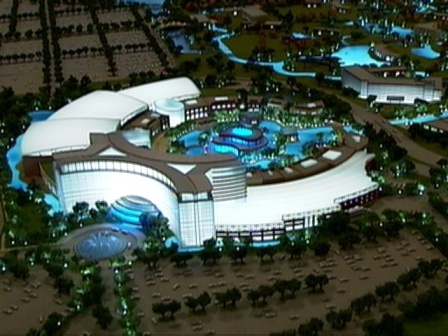 The park's entertainment venues will be connected by a state-of-the-art Transportainment River System. A fusion of transportation, sport and entertainment, manmade rivers will carry guests between lodging units and attractions. Construction began in 2007 and will end in 2009.